Karen and Jonathan are Fun In the Sun Weddings’ newest newlyweds! It was their love for the same kind of music that brought this bride and groom together and promises to play through their happily-ever-after. Karen and Jonathan met many years ago at a house party and became friends. They stayed that way for a long time until one night, at a concert with friends, Jonathan grabbed Karen and started dancing with her. This was totally out of character for him because he is usually shy and reserved. She just went with it, and they have been inseparable ever since. Jonathan and Karen were engaged at the top of Grouse mountain in Vancouver. It was his birthday and still winter in Canada. His plan to propose to her on the observatory balcony while enjoying the view was spoiled by a snowstorm. So instead, while inside surrounded by family and friends he dropped down on his knee, and she heard him mumble ‘Marry me?’ and suddenly everyone started cheering! A traditional wedding at home sounded like a huge amount of work, and not to mention super expensive. 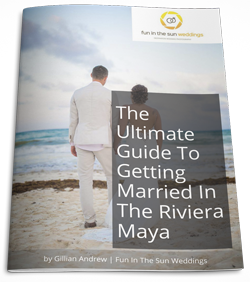 They saw photos of the beaches in Riviera Maya, Mexico, and were sold on the idea of getting married on the beach in an intimate destination wedding at Sandos Playacar. When a huge storm blew in bringing rain on their wedding day, the bride had to adjust her expectations for the day. 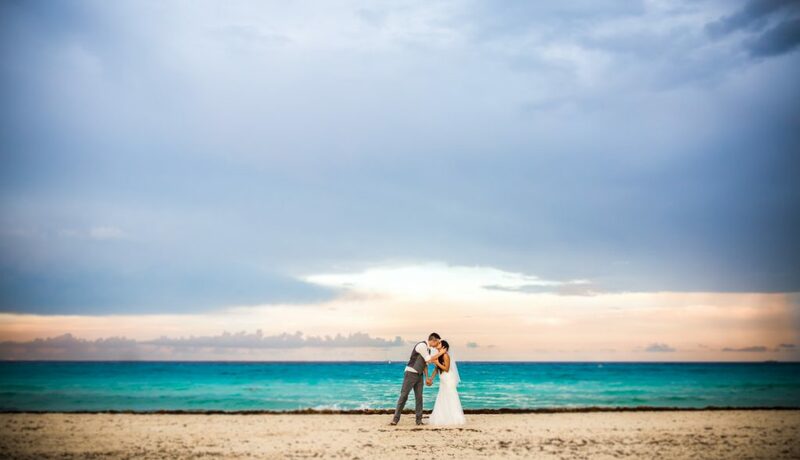 However, they were still married with toes in the sand, and the stormy sky and color palette of teal and turquoise made for incredible wedding photos! They mutual love for hardstyle music was woven through the wedding day, used as their recessional song at the wedding ceremony and for their first dance. Karen says her favorite moment was standing under the altar with Jonathan saying their vows, while Jonathan rates their first look as the best moment because he was overwhelmed at how beautiful she was. 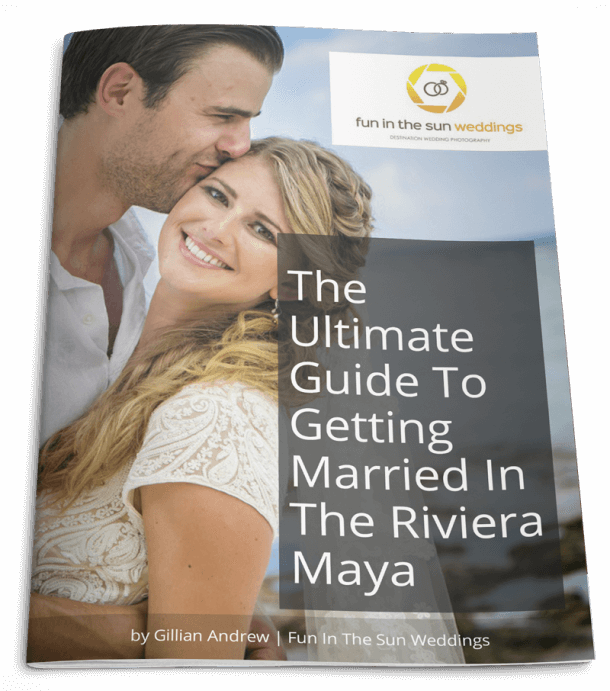 The bride’s advice for the bride to be getting married on the beach? Do not stress about the details and to just enjoy yourself. It truly passes by so fast. And get a good sleep the night before! Karen and Jonathan, it has been such a pleasure sharing this awesome moment in your lives. We wish you and your girls every happiness in this next chapter together. ( And have fun at Defcon in the Netherlands!) Congratulations! Want more information about Sandos Playacar? Read unbiased reviews on Tripadvisor here. Marc was fun AND funny all while professional. He totally helped me feel at ease despite the overwhelming stress I was under. What I'm forever grateful for is all the raw emotion that Marc captured throughout the day. And there was lots of it!